Rice diversity in Sarawak is abundant in its many forms or colours and as an effort to conserve this rich resource, the Agriculture Research Centre, Semongok has taken the responsibility to set up a formal storage facility for rice seeds. 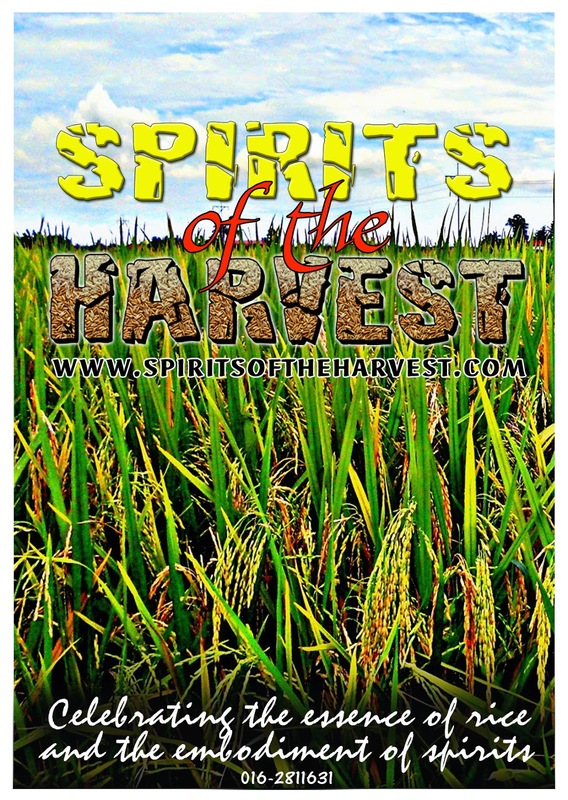 However, ever since rice has been planted in Sarawak, the farmers there have held that responsibility by selecting, saving and exchanging the rice seeds. In doing this, they understood that diverse genetics are important to prevent attack from pests and diseases, and they viewed it like an insurance policy against crop failure. Many farmers cultivate several varieties of varying maturation period to stagger out the planting and harvesting times to ease out the labour peak. Rice germplasm is considered as one of mankind’s most important heritage and rice ( Oryza sativa ) is the staple diet of the people of Sarawak. It also feeds 3 billion people or almost half of the world’s population. Because it is an important part of man’s diet and heritage, it must be conserved. Conservation can be defined as the science of preservation of species and ecosystems. The need for conservation is simply because species or ecosystems once lost or destroyed can never be re-created. With the introduction of modern high yielding rice varieties to farmers in Sarawak old and obscured varieties are slowly being replaced in many areas. Many such varieties are undoubtedly lost as a result of total crop failures which are very common among shifting cultivators. It is therefore extremely necessary to collect and preserve the traditional varieties before they become extinct. No one knows the exact origins of rice but rice cultivation is believed to have spread from the Indian subcontinent to Southeast Asia and eastwards to China and Japan. 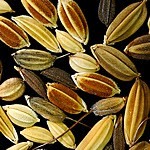 Two species of rice are planted, namely Oryza sativa and O. glaberrima. O. sativa originated in Asia and is grown all over the world whereas O. glaberrima is only grown in West Africa. 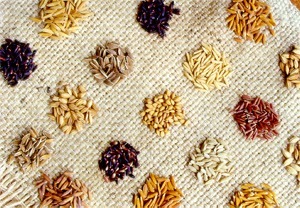 There are 20 species of wild relatives of rice scattered over Asia, Africa, Latin America and the Caribbean. In the world, there are many varieties of rice but no one knows the exact number, although some have claimed that there are more than 140,000 varieties. In Sarawak, rice conservation work started in 1963 whhen 305 accessions were collected. Later in 1966, 184 accessions were collected. Prior to this, no organised effort was made to collect rice germplasm in Sarawak. However, since 1991, systematic and organised efforts were made jointly with MARDI (Malaysian Agriculture Research and Development Institute) Bertam and International Rice Research Institute (IRRI). The Department of Agriculture (DOA), Sarawak, MARDI and IRRI organised six explorations from 1991-1999. The exploration team worked in close cooperation with the Divisional Agriculture Officers and the internal network of the Agriculture Extension Staff (AES). The core members of the team consisted of scientists from the Agriculture Research Centre of Sarawak, MARDI and IRRI. The Tuai Rumahs ( Village Headmans ) assisted the team to ensure a smooth interaction between the collectors and the local people. Collection missions were carefully planned to cover all the different divisional boundaries of Sarawak. The area explored included flood plains, undulating areas and hills. About 200g of seeds were collected for each sample. Fresh panicles were collected whenever and wherever possible. 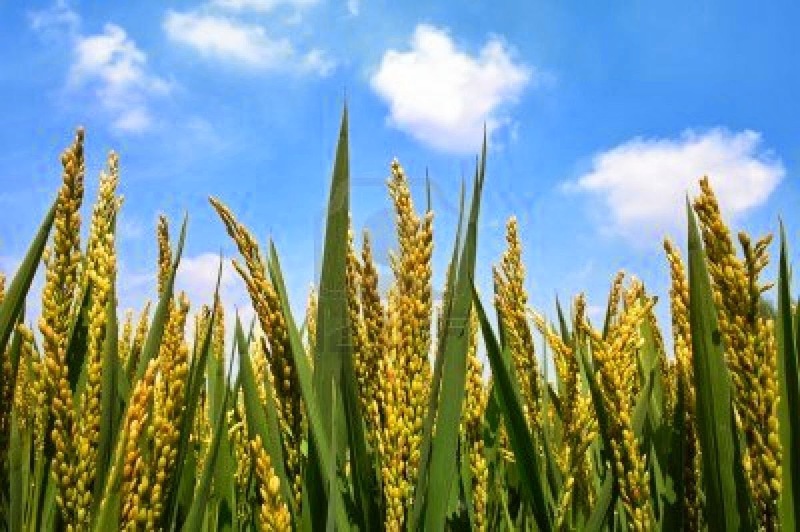 At least 10 well filled panicles per sample were taken from the rice field. Details of farmer’s names, location, and some special characteristics were documented. The geographical location was recorded with the help of the Global Positioning System (GPS). These seeds were processed and stored in the germplasm bank at Agriculture Research Centre in Semongok. The storage in Semongok is a short term facility. These seeds were kept in wax sealed glass jars and stored at 15-16º Celsius. They are then replanted after three years or when their viability has deteriorated. Since the Semongok centre is not a long term storage facility for the seeds, a security back up measure was used to duplicate sets of the seeds that were kept in the centre. This collection is kept in the MARDI Rice Gene Bank and IRRI’s International Rice Gene bank (IRG) in the Philippines which have been designated as long term storage facilities for rice germaplasm. A total of 1652 accessions of traditional rice varieties are currently conserved at the Agriculture Research Centre, Semongok. Seven hundred and eight accessions were collected during the six explorations and the areas covered by those explorations were Lundu, Sri Aman, Sibu, Sarikei, Kapit, Baram, Belaga, Bario, Ba’kalalan and Bintulu Division. The rice gene bank in Semongok can serve as a collection of seeds or as a centre that captures the genetic heritage of generations of rice farmers. It is a place where the conservation of rice seeds will continue as well as function as a resource for crop improvement to benefit our farmers.